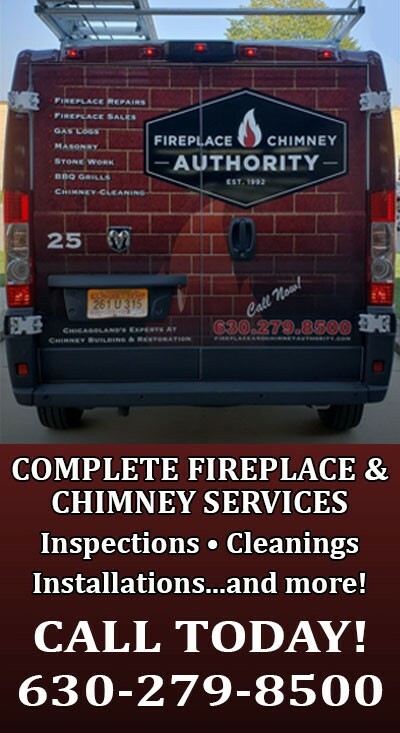 Fireplace & Chimney Authority has over 100 years of combined industry experience. We are the Midwest’s largest full-service chimney company from building, restoration, installation of gas or wood-burning appliances and chimney cleaning. Recognized throughout Lakemoor and the Chicagoland area for our superior selection of chimney products and unmatched service, Fireplace & Chimney Authority approaches every job as if it were in a family member’s home. In fact, that is exactly how we feel about our customers. Our customers Are our family. With two centrally located facilities, we service eight counties routinely and have been known to “go where we are needed” when necessary. All of our chimney technicians are fully licensed and certified, and we only use the most innovative and environmentally-friendly chimney products for your home. As Lakemoor’s experts in overall chimney restoration, minor chimney repairs, periodic chimney maintenance, and initial chimney installation, Fireplace & Chimney Authority will be happy to assist you in whatever your chimney needs might be. Our highly qualified chimney technicians will come to your home or business in Lakemoor and are trained to do a thorough visual inspection to assess and determine the appropriate course of action for your chimney needs. Our innovative equipment is specially designed for each type of chimney to provide high quality service from a standard large masonry fireplace to a metal factory built chimney.